Lime, which is a chemical form of calcium oxide, is produced by high-temperature treatment of high-purity calcitic or dolomitic limestone followed by addition of water. The lime found in grocery or hardware stores is ground dolomite or limestone that has not been chemically changed. Lime is produced in more than 100 countries. China and the United States are the largest producers. It is produced in 34 States and Puerto Rico. Major markets for lime are construction, flue gas desulfurization, mining, precipitated calcium carbonate, pulp and paper, steelmaking, and water treatment. Lime is a general term used for various forms of a basic chemical produced from calcium carbonate rocks such as limestone (CaCO3) and dolomite (CaCO3*MgCO3) More specifically, "quicklime" is calcium oxide (CaO) or calcium-magnesium oxide (Ca)*MgO). "Hydrated lime" (also called slaked lime) is produced by mixing the oxide forms with water. "Hydraulic lime" is an impure form of lime that will harden under water. 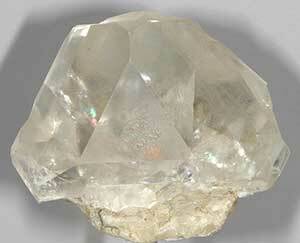 "Dead-burned dolomite" is a special form of dolomitic lime used in refractories. Most lime is produced by calcining (burning) limestone or dolomite. For example, if limestone is burned at 1010 to 1345 degrees C, the carbon dioxide is driven off and leaves calcium oxide or quicklime. In its purest form and under laboratory conditions, 100 kilograms of limestone will produce 56 kilograms of quicklime. Lime has been used for thousands of years for construction. Archeological discoveries in Turkey indicate lime was used as a mortar as far back as 7,000 years ago. Ancient Egyptian civilization used lime to make plaster and mortar. In the United States, lime use has changed dramatically. In 1900, more than 80% of the lime used in the U.S. was for construction uses. Today, nearly 90% is used for chemical and industrial uses. In the United States, lime is produced in a number of states. Companies in Texas, Alabama, Kentucky, Missouri, Ohio and Pennsylvania account for more than one-half of U.S. production annually. In addition, lime is imported from Canada and Mexico. Other nations producing lime include Belgium, Brazil, China, France, Germany, Italy, Japan, Poland, Romania, and the United Kingdom. Significant amounts of lime are recycled. Paper companies recycle large volumes of the lime they use. Some water treatment facilities recycle lime as well. The largest use of lime is in steel manufacturing where lime is used as a flux to remove impurities such as phosphorus and sulfur. Lime is used in power plant smokestacks to remove sulfur from the emissions. Lime is also used in mining, paper and paper pulp production, water treatment and purification, and in wastewater treatment. It is used in road construction and traditional building construction. Limestone can be used in place of lime for some industrial applications such as agriculture, as a flux in steel making, and in sulfur removal. Limestone is much less expensive than lime; however, it is not as reactive as lime, so it may not be the best substitute in all cases. Magnesium hydroxide can be used for pH control. Lime resources are plentiful worldwide for the near and distant future, and substitutes may not be necessary for a long time to come.